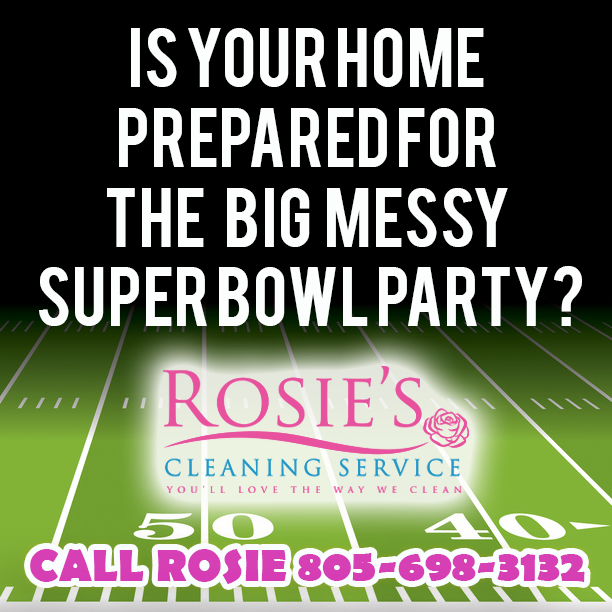 Is your home ready for the BIG MESSY SUPERBOWL PARTY? Is your home ready for the BIG MESSY SUPERBOWL PARTY? Our cleaning professionals can help you get organized and setup the party. We can also help you clean up the party afterwards. Schedule your appointment early before everything books up. Call 805-698-3132 for a quick quote today. Save Time: Why devote hours to cleaning when you could be concentrating on shopping, baking or crafting? Let Rosie’s take care of the house leaving you time to focus on what you do best. Economical: The cost of hiring a professional cleaning service will more than pay for itself with the amount of time you save. It eliminates the need for you to invest in extra cleaning supplies and expensive specialty equipment. Experience: Trusting a professional cleaning service will yield much better results than attempting to do it all yourself. Hire Rosie’s for your cleaning, it’s what we do! 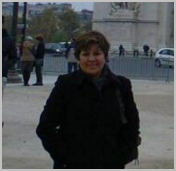 Reduce Stress: With so many places to go and people to see it is easy to become overwhelmed by every day demands. Knock house cleaning off your to-do list and give yourself one less thing to worry about.